Do I need to be an Orthodox Christian to attend? “become a Christian” you are welcome to visit us and experience our faith and worship. I consider myself “spiritual” but not “religious”. One Orthodox writer distinguishes “spirituality” from “religion” this way: “Religion is concerned with God’s relationship with the universe; spirituality is focused on the way a person sees his own place in the universe”. There are various understandings of what “spirituality” means today. It can mean anything it seems from awareness of impersonal or transpersonal spiritual energies, unity with the divine self within, to mindfulness, or compassionate living. 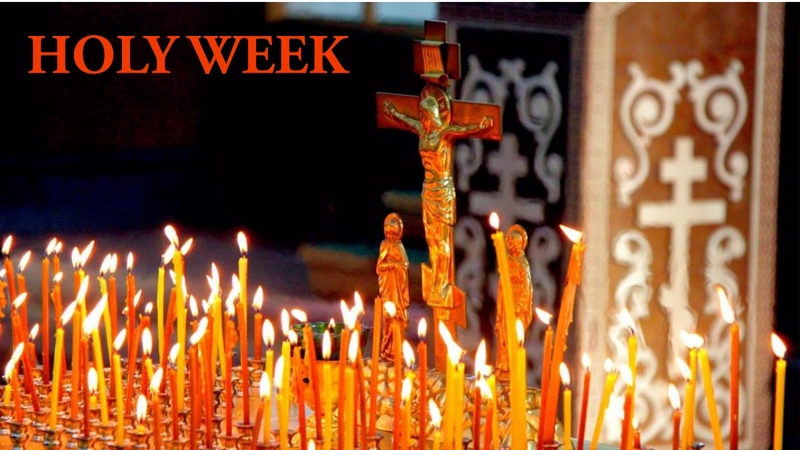 Orthodox Christianity seeks to lead people to faith and experience of what is true, beautiful, good and eternal and this has to do specifically with the transformation of the whole person into the image and likeness of God. 3) theosis (where man’s whole being is regenerated by the grace of God). In contrast with other “spiritualities” Orthodox spirituality is “the experience of life in Christ, the sphere of the new man..” It is not an abstract, emotional and psychological state of being. It is man’s union with God.” (Met. Hierotheos Vlachos; Orthodox Spirituality). Will anything be required of me during a service that I need to know? No. We do not have “altar calls” or anything that should make you uncomfortable. Just open your mind, ears and heart and join with us in praise of our Creator. Just be aware that Orthodox priests may only serve the Holy Eucharist to baptized members in good standing of the canonical Orthodox Church, who have recently confessed, and fasted before partaking of the Holy Eucharist. This is the ancient tradition of the Holy Church for the 2,000 years of its history. The Orthodox Church understands the Holy Eucharist as a mystery of the real presence of Christ in the Eucharist, not simply as a memorial, or merely in a spiritual sense, as many other non-Orthodox Christians do. Rather than trying to accommodate to often varying “interpretations” or revisions of this and other doctrines of the ancient faith, we simply ask that you respect the ancient, apostolic tradition and join us in receiving the Fellowship bread at the veneration of the cross, at the end of the Divine Liturgy. I have been influenced by “New Age” beliefs. Are these compatible with Eastern Orthodox Christianity? Behind the term “New Age” is a significant body of religious practices, much of it spun off from classical Oriental wisdom traditions like Buddhism, Hinduism and Taoism, along with a much broader collection of practices that would be hard to classify as religious at all – like alternative approaches to healing, astrology, hatha yoga, body work, psychology and spiritual techniques and psychic phenomena such as trance channeling. Depending on the practice there will be a process of re-thinking, re-learning, re-orienting and repenting (which is the door to humility all faithful must enter by). If you decide to pursue formal entry into the Orthodox Church, there will be an extended catechumen period. All this however should not hinder you from coming to experience our services, staying for catechism classes, coming to coffee hour, or speaking with a priest, or browsing in our bookstore. Do Orthodox Christians believe in the exclusive deity of Jesus Christ, or are other paths and gods accepted? Imploring her to become a ladder, down which God will descend into the world, and up which man will ascend to God; Imploring her to drain the red sea of sanguinary passions within herself, so that man the slave can cross over to the promised land, the land of freedom. The wise man of China admonishes my soul to be peaceful and still, and to wait for Tao to act within her. Glory be the memory of Lao-tse, the teacher and prophet of his people! We reject however all spiritual, or magical practices that are occult, dark, ‘paranormal’, attempt to control, manipulate, predict events (IE. mediumism) or out-of-body experiences, astral spheres, or “mystical” states. Involvement in these practices can be dangerous and open one to negative and even destructive spiritual entities. Along with other Christian traditions we believe Jesus Christ – as Scripture tells us – “was in the beginning with God…”, “that all things were made through Him, and without Him nothing was made that was made…”, “In Him was life and the life was the light of [all] men…” (John 1: 1-4), and, “in him dwells all the fullness of the Godhead bodily” (Col. 2:9). When we look at other religious traditions and see truth, beauty and goodness, we understand that a “seed” of this Truth – although not the fullness thereof – was given to that culture and time as grace by God, even before the incarnation of Jesus Christ in the world. Having said this, our faith is defined by and could be said to be encapsulated in the Nicene Creed, which will help you understand more clearly what we believe. What would attract a Hindu or someone influenced by yoga to eastern Orthodox Christianity? There is not much in common on the surface between Hindu metaphysics and Eastern Orthodox Faith. But in Hindu traditions knowledge is not primarily about the development or dissemination of metaphysical doctrine or theology. This is one of the problems western Christians have communicating with seekers from Eastern faith traditions. Eastern religion is never theoretical or doctrinal. It’s about the struggle for liberation from death and suffering through spiritual experience. This “experiential/therapeutic/transformational” ethos is the first connection Eastern Orthodoxy has with Hinduism, because Orthodoxy is essentially therapeutic and transformative in nature. The second thing we agree with Hindus about is the state of ignorance humanity finds itself in. The goal of the Christian life according to the Church Fathers is to move from the “sub-natural” or “fallen state” in which we find ourselves (subject to death), to the “natural” or the “according to nature state” after the Image (of God), and ultimately to the “supra-natural” or “beyond nature” state, after the Likeness (Theosis). According to the teaching of the holy Fathers, the stages of the spiritual life are purification, illumination and deification. This paradigm, and the methodologies of spiritual formation and growth, is unique to Eastern Orthodox practice among Christian traditions. While we don’t agree with Hindus on what “illumination” is we agree on the basic diagnosis of the fallen human condition. “We agree on the sickness (of the human condition). Where we disagree is on the cure”. Eastern Orthodoxy has a very rich monastic tradition within which one can find the hesychasm (contemplative) tradition. There it is taught that true “spiritual knowledge” presupposes a “purified” and “awakened” nous (Greek), which is the “Inner ‘I’”, or “mind” of the soul. For Eastern Orthodox, the true theologian isn’t one who simply knows doctrine on an intellectual or academic level, but one “who knows God, or the inner essences or principles of created things by means of direct apprehension or spiritual perception.”1 As a well-known Orthodox theologian explains, “When the nous is illuminated, it means that it is receiving the energy of God which illuminates it…”2 This idea resonates with eastern seekers struggling to experience – through non-Christian ascesis and/or through occult methods – spiritual illumination. Most eastern spiritual seekers are not aware that the opportunity for authentic spiritual experience exists within a Christian context. As part of their spiritual ascesis, Hindu practice emphasizes cessation of desire, which is necessary to quench the passions. Holy Tradition teaches apatheia, or detachment as a means of combating the fallen passions. The word hesychia in Holy Tradition – the root of the word for hesychasm – means “stillness”. Buddhism, especially, teaches “mindfulness”. Holy Tradition emphasizes “watchfulness” (nepsis), so we do not fall into temptation. Hindus understand it is not wise to live for the present life, but to struggle for the future one. Orthodox life is an ascetic life. Americans who become Hindu are often fervent spiritual seekers, used to struggling with foreign languages (Sanskrit, Bengalis, etc.) and cultures and pushing themselves outside of their “comfort zones”. Converts to the Eastern Orthodox Church can relate! Some Hindu sects even have complex forms of “liturgy”, including chant, prostration and veneration of icons! Hinduism places high value on the lives of (their) ascetics, teachers (gurus) and “saints”. The key difference in spiritual experience is that what the eastern seeker recognizes as “spiritual illumination”, achieved through deep contemplation (Moksha, Samadhi), Holy Tradition merely sees as a form of “self contemplation”, even at very deep levels. Why would a Buddhist be interested in Orthodox Christianity? There are many “points of contact,” between Buddhism and Christianity, as was pointed out historically by the Lutheran missionary Karl Ludvig Reichelt. On a superficial level, Mahayana Buddhists daily “take refuge” in the Buddha, the Dharma (the teachings of the Buddha), and the Sangha (the Buddhist monastic community). Orthodox Christians, on the other hand, take refuge in the Father, Son and Holy Spirit; but we also depend upon the Christ (Jesus, the Word of God), His Dharma (teachings), and the Sangha (the Church). Buddhist ascetical communities have much in common with the life-style of the early Desert Fathers and Mothers of the Church, a fact which was beautifully drawn out by the Japanese scholar and artist Yushi Nomura in his book, Desert Wisdom: Sayings from the Desert Fathers. Nomura used Zen-style illustrations and brief quotes from the Fathers to demonstrate the similarities. Both seek to extinguish the passions and to tame the flesh. Both seek tranquility (in Greek, hesychia). Both advocate radical simplicity of lifestyle and a total acceptance of what the day might bring. On a deeper level, the Buddha said that the world is subject to suffering; so do we (we call it “evil,” which leads to death). He said that this was due to desire; so do we (we call this “sin,” that leads to fear and disappointment–the “passions”). He said that therefore, we must accept the transitory nature of life; so do we (we call this repentance and humility). He said, finally, that we do not truly exist; so do we (we say that only Christ is “He Who Is,” Who exists truly; we are creatures who have fallen into death). The Buddha said that we cannot see God or understand divine nature, the Absolute; we agree, but we believe that God revealed himself in the flesh, in Christ. Christ is above-thought, the “name above all names.” But He rose from death and could be seen and touched and heard. This is proof of the Resurrection, which ends the cycle of birth and rebirth. Enlightenment is to realize that (the early Church called baptism, “enlightenment”). The Buddha said that everything is illusion; we do not say that. We believe that Christ restores everything so that everything can exist truly. God made it, God God loves it, God keeps it. In that sense we are not-Buddhists. The Buddha said that we must cease to be, in order to be free; we believe, rather, that we must be born again in Christ–effectively dying to our old life and being born into a different dimension. Perhaps we should call it Nibbana: stopping all passions, existing in a new way which cannot be grasped or imagined. We, who are enlightened in Baptism, can say that our “Buddha-nature” has been realized in Christ: it is Christ-nature. (Excerpted from Fr Brenden Pelphrey; Coexisting with Buddhism).